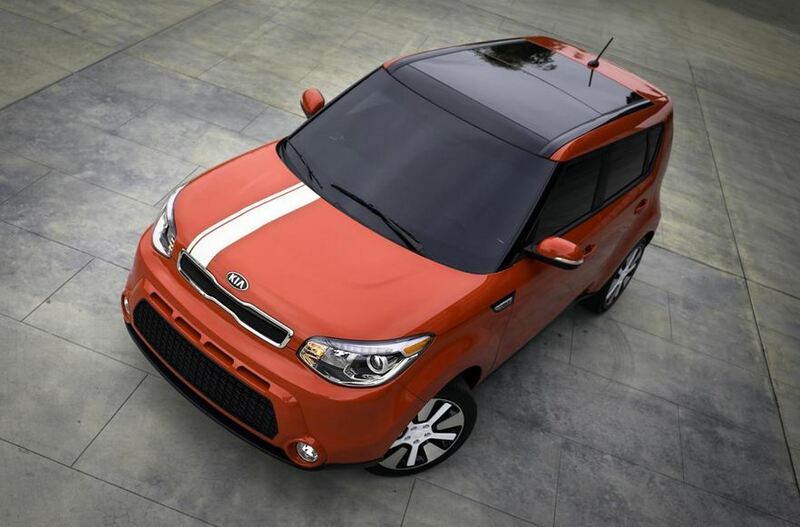 Kia decided to released details on the 2015 model year Soul. The small hatchback comes with a series of styling tweaks, new equipment and other minor improvements. Unfortunately, they offered no photos with the model in question but claim that the base model gets a new UVO1 eServices Package which includes a system that offers information on weather, fuel prices and more. It comes standard on the higher-grade versions while the top-of-the-range also gets new exterior finishes (Fathrom Blue and Cloud White), as well as Nappa leather seats. The steering wheel is also revised and is part of the Umber Color Package which costs around $900. Under the hood you will find a 1.6-liter GDI unit producing 130hp and 160 Nm of torque alongside a six-speed manual transmission. A more powerful 2.0-liter 164hp engine is available as well but comes only with an automatic gearbox, the same that is optional on the base model. Besides the increased horsepower, the 2.0-liter GDI unit offers a torque of 205 Nm, enough for a quite decent acceleration, even though official figures were not released.